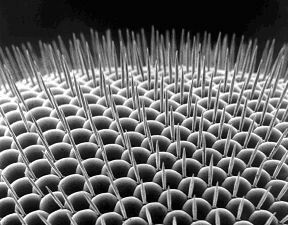 An average housefly carries 2 million bacteria on its body. 2. 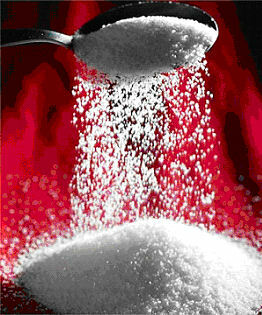 The feet of a housefly is 10 million times more sensitive to the taste of sugar than the human tongue. 3. 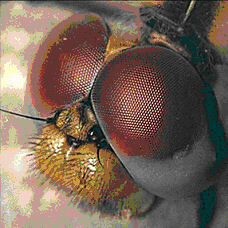 Houseflies have a compound eye that sees many directions at once. They also have a highly evolved evasive reaction that detects the slightest changes in air currents. 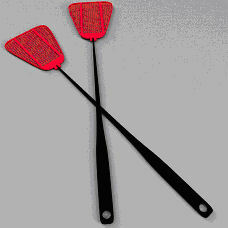 This is why it is extremely hard to swat a housefly. Flyswatters have holes in them to reduce air currents so that the flies are tricked into thinking nothing is happening until it is too late. One way that I find effective when I do not have my loyal flyswatter about is to clap my hands just above where the nasty fly is resting. The fly detects the air current of your hands and flies upwards, right in the middle of both palms that snap shut. 4. Manure is the breeding place of flies, especially horse manure but ours is perfectly fine too. 5. Flies have hairy legs that have particles of manure stuck in between them and they carry them wherever they go, be it on your delicious hamburger or your juicy steak.